Well see where this is going... nice being back to modelling at any rate! Thanks Muppet! I also dig number two - there's something blanchean about him. Epic work mate ! love the "regular" soldier with his hemlet... but the Inqredneck is awesome ! NRA : Nestorian Redneck Rampage... :). 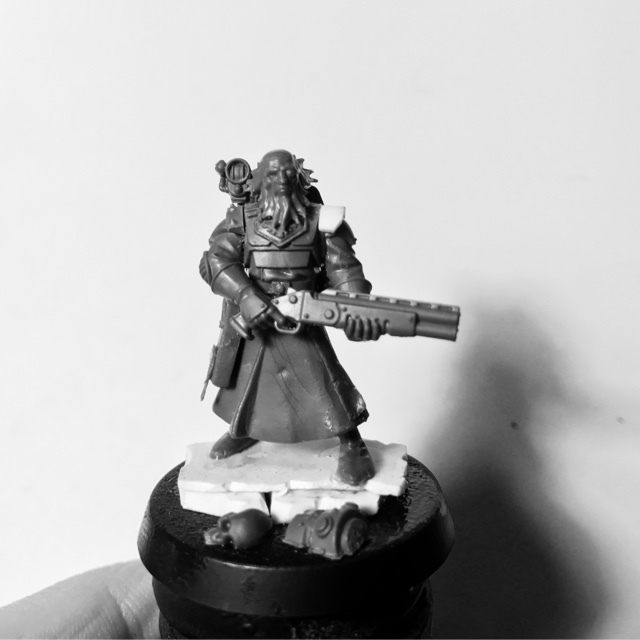 Ok Jokeless, don't know if it because of the shotgun, or the beard, but this mini got something of an enclosed by force civilian... Can't wait to see more like him. The first guy looks like one of the Pirates from Metabarons. I may have to pinch that one. 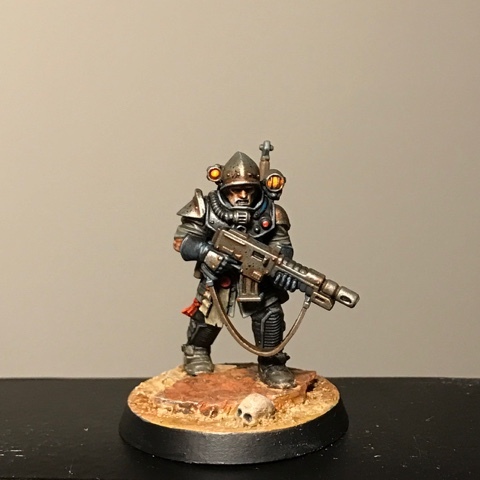 Love this bloke - would like to see a small killteam in the same uniform/armour. He's a genious - his minis were one of the major reasons I got into inq28. Loves these guys (and usual sublime paint job on the finished one). 40k needs more mercenaries/pirates/gangsters/beat cops/thugs to hold up the Inquisitor, or be smashed by the sole surviving space marine. Otherwise it is pitched battle all the time, and why not show up with an Imperial Knight and allied psyker to that battle? We'll see what we get in the new Imperial Agents codex!